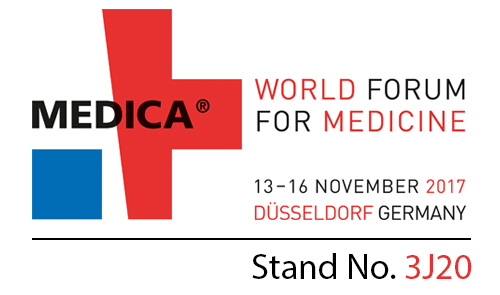 From November 12 to 15, Düsseldorf will host a new edition of MEDICA, the World Forum of Medicine, in which almost 6,000 exhibitors from more than 70 countries will showcase their products and solutions in medicine. · CerTest bioSCIENCE: raw materials for life science and immunoassays. · CerTest Rapid Test: immunochromatographic tests. A fast, simple, reliable and easy-interpretation process. · CerTest Turbilatex: a quantitative immunological latex method for the quantification of tumoral and inflammatoy markers. · VIASURE Real Time PCR Detection Kits: a molecular biology technique that allows us to identify the causal pathogens of the infectious diseases by amplifying DNA fragments. Save the date, from November 12 to 15.